Three days out from the presidential election, the Romney campaign is out with a new ad urging voters to cast their ballots "for love of country," not "revenge," seizing on comments President Obama made at a campaign stop yesterday calling on voters not too boo at the sound of Mitt Romney's name, but to vote. "Don't boo. Vote," he told voters in Springfield, Ohio. "Voting's the best revenge." Romney immediately blasted the president for his remarks on the trail, and his campaign doubled down on the criticism with a new ad buy this morning. The 30-second spot, "Revenge or love of country," plays clips of both Obama's original comment and Romney's response before posing the question, "What is your reason for voting?" 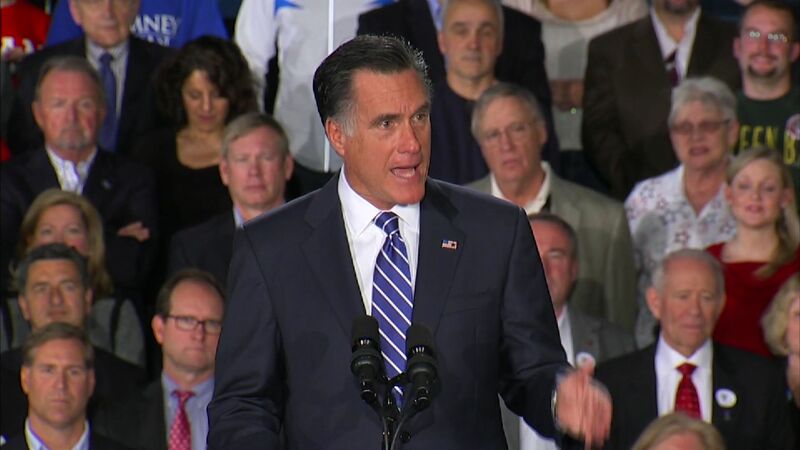 The Romney campaign did not release details about where the ad will air or the scope of the buy. Meanwhile, according to Politico, the Obama campaign placed its final ad buy of the election yesterday, with a focus on appealing to voters in Florida and Virginia.